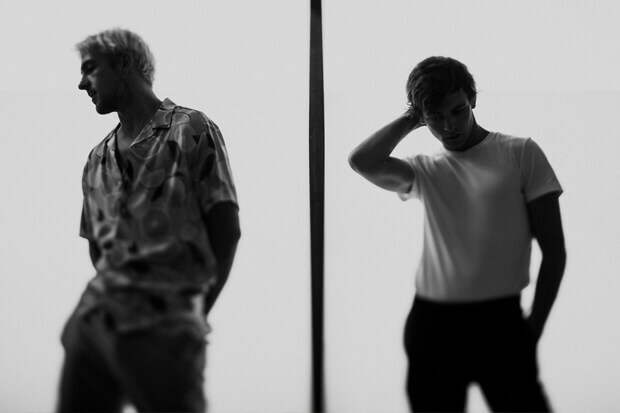 The Driver Era Continue To Dazzle With Their New Single, "Low"
Considering their hot streak, it is hardly surprising that they have another potential smash on their hands. On it, Rocky takes center stage and shows off his various skillsets. Here he acts as the writer, producer and takes the lead on vocals. Over electric strings and trance-inducing beats, he finds himself trapped in memories. “Never did I know I could get this low. I could get this low for you. Now the sun don’t shine, and the rains all pour. And I’m still thinking about you,” he croons on the memorable chorus. It is the kind of anthem that begs for a live performance. And hopefully it will get one when The Driver Era takes the stage at one of the various festival appearances they have coming up in the near future. Friday was truly an action-packed day for the pair. The unveiling of “Low” coincided with the official debut of Ross’ latest acting project. The 22-year-old landed a starring role in Netflix’s The Chilling Adventures Of Sabrina. A darker update on the beloved Sabrina the Teenage Witch, it has been met with strong reviews. Stream “Low” and check out the trailer for The Chilling Adventures of Sabrina below! Do you love “Low”? Let us know below, or by hitting us up on Facebook and Twitter!